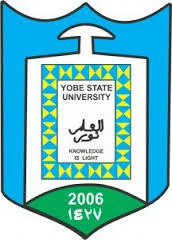 Yobe State University, YSU Commencement of Lectures after Christmas and New Year Break for the 2018/2019 Academic Session. This is to inform all students and the entire community of the Yobe State University, YSU that the resumption date after Christmas and New Year Break for both fresh and returning undergraduates students for 2018/2019 academic session has been released. All Students are expected to resume on Monday 7th January, 2018. First Semester Lectures for all Students continues immediately.